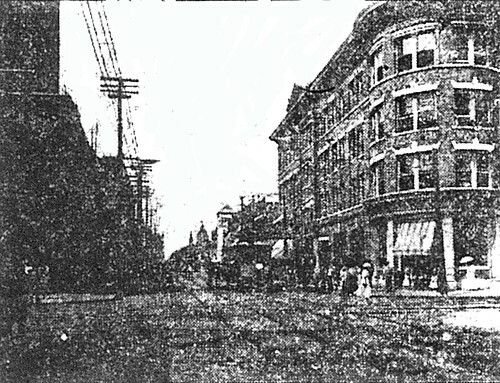 Above is a glimpse of Fourth Street looking west, and in the foreground, the Miners Bank Building. You can find a short history of the Miners Bank Building (and the bank, itself) here. It was home to the offices of one of Joplin’s finest architects, August Michaelis and his brother. Fourth Street, in turn, was one of the more attractive locales in the Joplin business district, home not only to the Connor Hotel, but also to the Club Theater and Elks Club. This page took 0.167 seconds of computer labor to produce.